Manual Economy 120 x 120 cm ceiling projection screen Manual screens. Sold only in France, delivery to the ground floor. No delivery in the Islands. Manual Economy 160 x 120 cm ceiling projection screen Manual screens. Sold only in France, delivery to the ground floor. No delivery in the Islands. Manual Economy 160 x 160 cm ceiling projection screen Manual screens. Sold only in France, delivery to the ground floor. No delivery in the Islands. Manual Economy 160 x 90 cm ceiling projection screen Manual screens. Sold only in France, delivery to the ground floor. No delivery in the Islands. Manual Economy 180 x 102 cm ceiling projection screen Manual screens. Sold only in France, delivery to the ground floor. No delivery in the Islands. Manual Economy 180 x 135 cm ceiling projection screen Manual screens. Sold only in France, delivery to the ground floor. No delivery in the Islands. Manual Economy 180 x 180 cm ceiling projection screen Manual screens. Sold only in France, delivery to the ground floor. No delivery in the Islands. Manual Economy 200 x 113 cm ceiling projection screen Manual screens. Sold only in France, delivery to the ground floor. No delivery in the Islands. Manual Economy 200 x 150 cm ceiling projection screen Manual screens. Sold only in France, delivery to the ground floor. No delivery in the Islands. Ceiling manual Economy 200 x 200 cm projection screen Manual screens. Sold only in France, delivery to the ground floor. No delivery in the Islands. Manual Economy 220 x 124 cm ceiling projection screen Manual screens. Sold only in France, delivery to the ground floor. No delivery in the Islands. 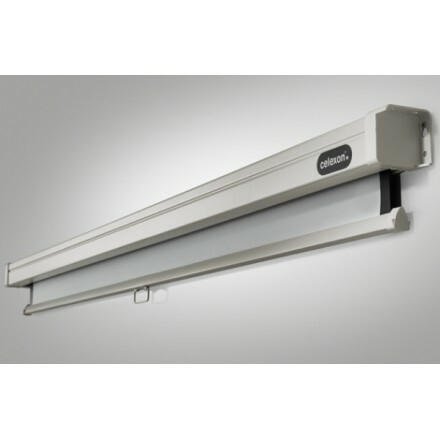 Manual Economy 220 x 220 cm ceiling projection screen Manual screens. Sold only in France, delivery to the ground floor. No delivery in the Islands. Manual Economy 240 x 135 cm ceiling projection screen Manual screens. Sold only in France, delivery to the ground floor. No delivery in the Islands. Manual Economy 240 x 180 cm ceiling projection screen Manual screens. Sold only in France, delivery to the ground floor. No delivery in the Islands. Manual Economy 240 x 240 cm ceiling projection screen Manual screens. Sold only in France, delivery to the ground floor. No delivery in the Islands. Manual Economy 280 x 210 cm ceiling projection screen Manual screens. Sold only in France, delivery to the ground floor. No delivery in the Islands. Manual Economy 280 x 280 cm ceiling projection screen Manual screens. Sold only in France, delivery to the ground floor. No delivery in the Islands. Manual Economy 280 x 158 cm ceiling projection screen Manual screens. Sold only in France, delivery to the ground floor. No delivery in the Islands. Manual Economy 300 x 225 cm ceiling projection screen Manual screens. Sold only in France, delivery to the ground floor. No delivery in the Islands. Ceiling manual Economy 300 x 300 cm projection screen Manual screens. Sold only in France, delivery to the ground floor. No delivery in the Islands. 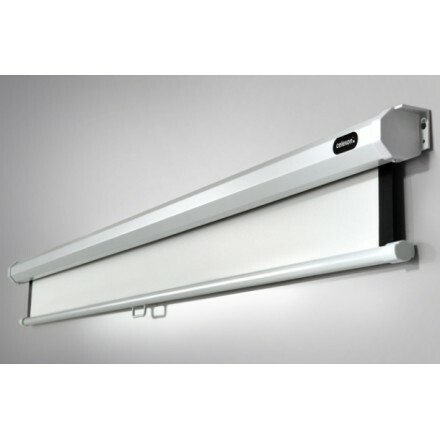 Manual Economy 305 x 172 cm ceiling projection screen Manual screens. Sold only in France, delivery to the ground floor. No delivery in the Islands. Manual PRO 120 x 120 cm ceiling projection screen Manual screens. Sold only in France, delivery to the ground floor. No delivery in the Islands. Manual PRO 160 x 120 cm ceiling projection screen Manual screens. Sold only in France, delivery to the ground floor. No delivery in the Islands. Manual PRO 160 x 160 cm ceiling projection screen Manual screens. Sold only in France, delivery to the ground floor. No delivery in the Islands. Manual PRO 160 x 90 cm ceiling projection screen Manual screens. Sold only in France, delivery to the ground floor. No delivery in the Islands. Manual PRO 180 x 102 cm ceiling projection screen Manual screens. Sold only in France, delivery to the ground floor. No delivery in the Islands. Manual PRO 180 x 135 cm ceiling projection screen Manual screens. Sold only in France, delivery to the ground floor. No delivery in the Islands. Manual PRO 180 x 180 cm ceiling projection screen Manual screens. Sold only in France, delivery to the ground floor. No delivery in the Islands. Manual PRO 200 x 113 cm ceiling projection screen Manual screens. Sold only in France, delivery to the ground floor. No delivery in the Islands. Manual PRO 200 x 150 cm ceiling projection screen Manual screens. Sold only in France, delivery to the ground floor. No delivery in the Islands. Ceiling manual PRO 200 x 200 cm projection screen Manual screens. Sold only in France, delivery to the ground floor. No delivery in the Islands. Manual PRO 220 x 124 cm ceiling projection screen Manual screens. Sold only in France, delivery to the ground floor. No delivery in the Islands. Manual PRO 220 x 165 cm ceiling projection screen Manual screens. Sold only in France, delivery to the ground floor. No delivery in the Islands. Manual PRO 220 x 220 cm ceiling projection screen Manual screens. Sold only in France, delivery to the ground floor. No delivery in the Islands. Manual PRO 240 x 135 cm ceiling projection screen Manual screens. Sold only in France, delivery to the ground floor. No delivery in the Islands. Manual PRO 240 x 180 cm ceiling projection screen Manual screens. Sold only in France, delivery to the ground floor. No delivery in the Islands. Manual PRO 240 x 240 cm ceiling projection screen Manual screens. Sold only in France, delivery to the ground floor. No delivery in the Islands. Manual PRO 280 x 158 cm ceiling projection screen Manual screens. Sold only in France, delivery to the ground floor. No delivery in the Islands. Manual PRO 280 x 210 cm ceiling projection screen Manual screens. Sold only in France, delivery to the ground floor. No delivery in the Islands. Manual PRO 280 x 280 cm ceiling projection screen Manual screens. Sold only in France, delivery to the ground floor. No delivery in the Islands.